Chaplain's held services today. The regiment is assembling. "E" Co. has been on outpost duty, and they are coming in. The 1st Bn. and "G" Co. who have been guarding Jap supply dumps to keep the Japs from getting food are coming in. This unites the regiment. This afternoon we were told that we were returning to Ebli's Plantation again. 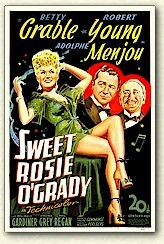 Had another movie tonight, "Sweet Rosie O'Grady". Breakfast consisted of one pancake with no syrup or jelly. At noon we had bully beef patties, dehydrated beets and carrots for lunch. We did have desert though, fruit cocktail and it was a treat. Shortly after noon a company officer's meeting was held. We do have a mission and are returning to Ebli Plantation 29 June. We do not know what the mission will be. This causes a lot of speculation. You'd think by now with so many missions being cancelled that we'd be skeptical, but I suppose we were possessed with eternal hope. Each time this had to be it. Tonight at our smoko Col. Britten said that high ranking Naval and Marine officers were at Regt. HQ yesterday. Bread (this is a treat), dehydrated eggs, and marmalade for breakfast. Word came unofficially that we would jump on Noemfoor Island around 4 or 5 July. This is near Manokwari, New Guinea. There is a large Jap air base at Manokwari. There is danger of heavy aerial bombardment on this mission. Roast pork and fresh potatoes. When have we seen a fresh potato? We had these together for lunch. We're mostly swimming and looking for Cat's Eyes. Most everyone has a pretty good collection. 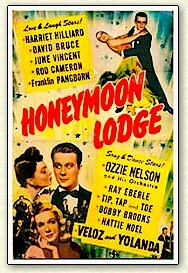 Another movie tonight, "Honeymoon Lodge". It lasted a long time, because the generator kept breaking down. Pancakes for breakfast. The word is that we will jump on a Jap airfield. Bread and onions for lunch. We really enjoyed the meal, because it was quite different. Supper was super-pork chops. Fresh eggs for breakfast. Something must really be going on. They must be fattening us up for the kill, but we love it. Latest word is that the 158th Inf. will make a beach landing on Noemfoor. We can't help but have nagging fears about another dry run. There have been so many. It's like the boy who kept crying wolf. Fresh pork, fresh potatoes, and cake with cranberry sauce for lunch. We came back to reality at supper, bully beef patties. The move back to Ebli Plantation has been postponed until tomorrow. We were up at 0430. Chow at 0445. Policed area. A little later Ed and I were ordered to report to Col. Britten. He chewed us out and told us to clean up the area where the officers had been having their smokos. This burned us up. Not only had we done the cooking, but now we had to clean the area up. We’d not invite him to eat our cooking again and so on. We really felt like we'd been treated unfairly, but you know what we did? We cleaned the area up and forgot it. About 0700 we moved by ducks to the Army HQ. and then by LCT's across to Pie beach. There were only enough trucks to carry Battalion Headquarters and Headquarters Company, "D" Company, and part of "E" Company. We had two boiled eggs for breakfast at 0445, so we were soon hungry, We searched in a nearby Jap dump, but it had been well picked over, so we had little luck. The trucks returned about 1500 hour. We were not a happy bunch. Then we made the long, hot, dusty ride to Ebli Plantation. Rice and bully beef were served for supper. Mail came in. At smoko tonight we pumped Capt. John Richmond. He was Bn S-3 and had been off on leave, I think, it was never clear. He did have some information. He told us our battalion would go in D+3. The enemy strength at this place is estimated at 2800 troops. Sixteen hundred of these are combat troops. D-Day is Sunday. The 158th Infantry Regimental Combat Team will land D-Day. The 1st Battalion will jump D+1, 3rd Battalion D+2, and 2nd Battalion D+3. This will be July 5 (D+3). So this looks like more than a "supposedly mission." "Broke camp and boarded LCT at 1030 hr. and moved to Pie Beach. Then via truck to new camp site at Ebili Platation, Hollandia, Dutch New Guinea. Arrived at 1200 hr." This was the old camp site at Ebli Plantation. Each company set up in the same area they had occupied before. 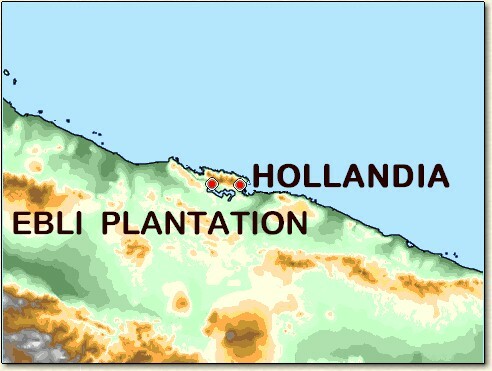 Ebli Plantation is variously described in 503d documents as Ebli, Ebili and Eberly. The US Army maps of the time refer to it as Ebli. Company moved from Cape Kussoe to Eberly Plantation. General Patrick's request for paratroop reinforcements and ALAMO Force's speedy acquiescence and subsequent orders to the 503d Parachute Infantry probably surprised no one. Apparently, the parachute unit was to have been sent to Noemfoor unless General Patrick was strongly opposed to its movement; only the 1115 radio from the CYCLONE Task Force was awaited before the machinery for the movement started. In fact, the 503d Parachute Infantry had known at least as early as 1615 on 1 July--the day before D Day--that one battalion of the regiment was to drop on Noemfoor on 3 July. Orders to that effect had been sent to the regimental command post at Hollandia during the afternoon of 1 July by the ALAMO Force G-3 section. The only alteration in plans made necessary by the receipt of jump orders at 1430 on 2 July was to change the dropping ground. The 503d had expected to jump at Kornasoren Drome, but now it had to restudy available information in preparation for the drop on Kamiri Drome. "Co Commanders were given a preliminary briefing of problem, and platoons will study sand table tomorrow, with additional "info" secured by today's recco given at the time. The 2nd Bn will jump July 5th, and all preparations are being completed with the date in mind." Later entries gave information that Lt. Col. Britten and squadron leaders of the C-47’s that were to carry the jumpers flew over the jump area in two Flying Fortresses. The company commanders flew over in C-47's. Pancakes, syrup, and prunes for breakfast. All the pancakes we wanted. We set up pyramidal tents this morning. Pork roast, potatoes, and tea for lunch. The afternoon was free. Bully beef patties for supper. 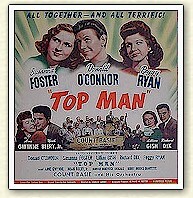 Movie tonight, "Top Man." The 503d PRCT Heritage Battalion and the The Corregidor Historic Society rely upon donations from like-minded individuals with a commitment to the volunteer spirit.